All donations will go to the Scarlet’s Smile to help build Scarlet’s playground! Scarlet’s Smile is offering bricks for sale that will outline the pathways surrounding Scarlet’s Playground in Dodge Park # 5 in Commerce Township, Michigan. 4” x 8” bricks are available for $200 and include inscriptions up to three lines with a total of 12 characters per line, including spaces. Leo’s Coney Island on Carroll Lake Road has teamed up with Scarlet’s Smile to help raise funds for Scarlet’s Playground! 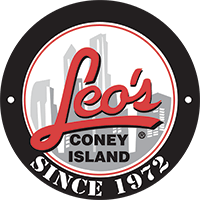 Every Tuesday night at Leo’s Coney Island will be “Scarlet’s Smile night” and Leo’s will generously donate 10% of the proceeds to this wonderful project. Bring your family and friends on Tuesday nights and enjoy a delicious meal while helping a great cause! Just mention Scarlet’s Smile at the register when checking out! If you or your company is interested in helping by making an in-kind contribution, please let us know! We are grateful to our many sponsors and donors and would love for you to be apart of our efforts! Set Scarlet’s Smile to your charity of choice on Amazon Smile to donate a portion of every qualifying purchase to help our cause!